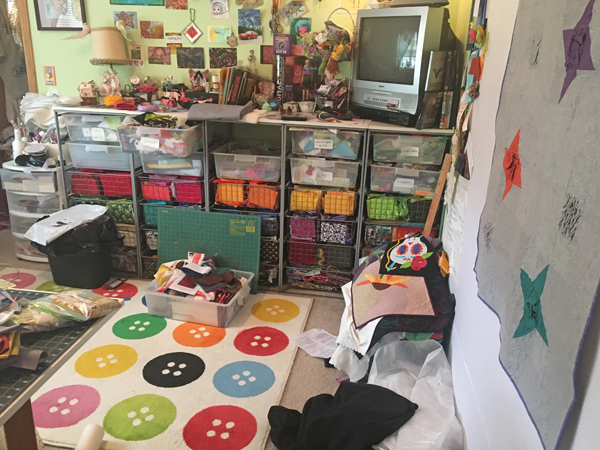 Time to Spring Clean MY Studio! – Cheryl Sleboda – Textiles. Technology. Texture. Teacher. Time to Spring Clean MY Studio! 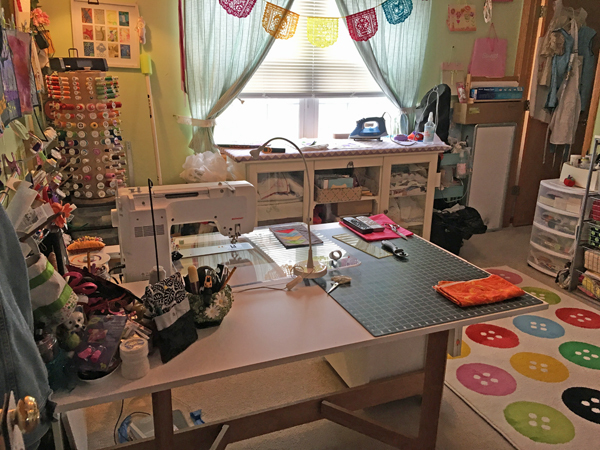 It’s my turn on the Spring Clean Your Studio Blog hop! Hooray! If you haven’t checked out all of my friends’ blogs on the hop, there’s a handy list on the bottom to check them out. 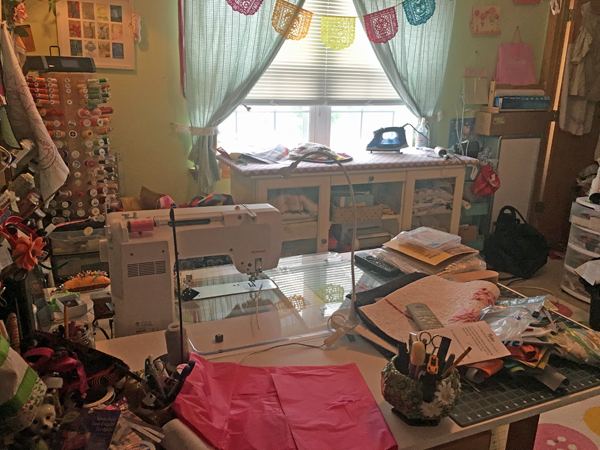 I really love looking at people’s studios, and I get so many organization tips from getting that insider sneak peek. Be sure to leave them a comment and say hello! As you can see, my “before” pictures are not that bad! This studio has definitely been worse, just look at previous year’s! Except….. 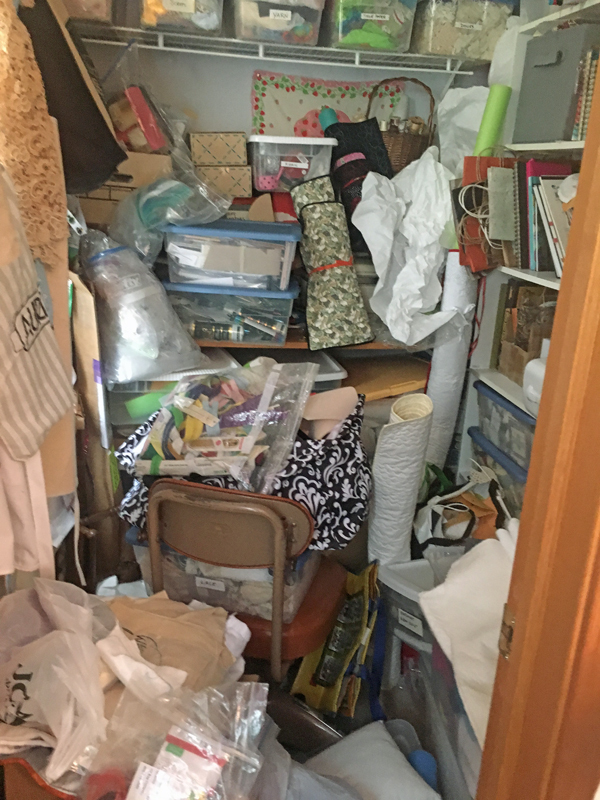 This closet is an absolute disaster. 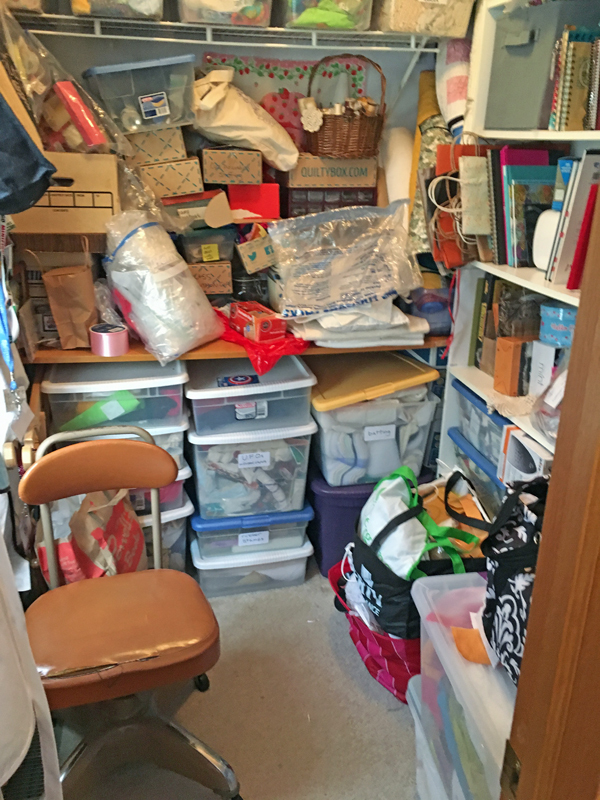 The room in the house I use for my sewing studio has a wonderful walk in closet that I basically have just resorted to throwing things inside. Plus, I’ve been getting into the bins and not replacing them properly. It’s a big big mess. 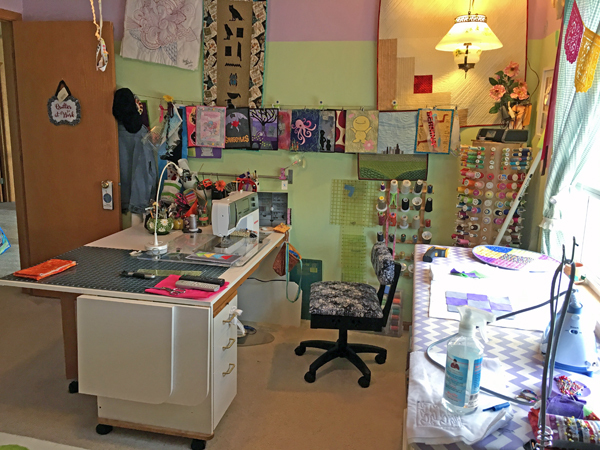 Here’s the lovely “after” in my main studio. It’s a terrible grey rainy day, so the pictures are not as bright as I would like. But the closet! There’s a floor! You can walk in it! Things have been put away! Now let’s see how long it can stay this way. 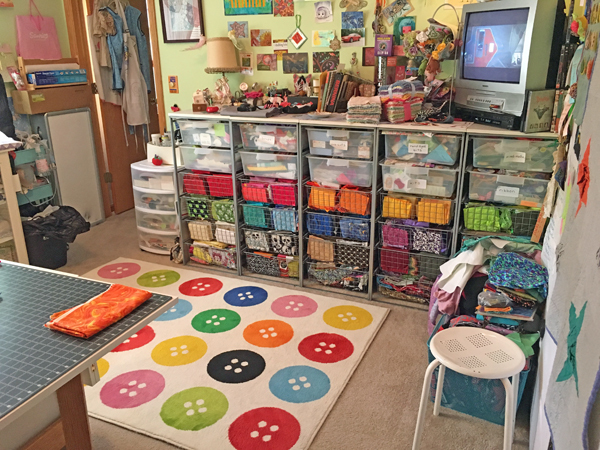 Here’s a reverse shot of the sewing room from the closet. Not bad! I hope you take a few minutes today and visit all of the blogs on the hop. Everyone did such a great job. 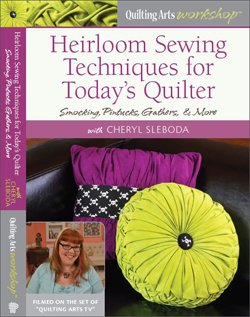 Check back too for updates from Quilt Market and where I’ll be teaching next!